Hanbok is Korea’s traditional dress which is mainly derived from the Joseon Dynasty era. One of our Trazer, Jaebin H went to visit Goguan Studio with her friend to try out Hanbok and take pictures at the most traditional setting. Let’s see what it was like to dress up like a Joseon Princess! I went to Goguan studio where you can wear Hanbok (Korean traditional clothes) with my Taiwanese friend. As far as I know, there are three branches in Seoul, and the one I’ve tried was located in Insadong (and the other two are in Myeong-dong and Hongdae). Photo by David Tran, 8 Degrees Inc. I should start this post by saying that Ryan and I were not initially planning to do engagement photos, but... I got lucky at a work gala silent auction and happened to win an e-session with David Tran of 8 Degrees Inc. I'm SO glad we did! Hanbok Day at the Hagwon! As Evan mentions in the video, this is a great example of a (one of the few) positives to having a private school job. You often get to participate in fun events, holiday parties, and get more one on one interaction with students than you do at at public school. Check out Evan in hanbok, and his adorable students in our most recent video! Traditional Korean clothing, hanbok, has gradually won favor by people from different parts of the world. It is regal, traditional, and elegant, and can truly bring out feminine grace and poise with the help of accessories such as barrettes, earrings, rings, and other jewelry. 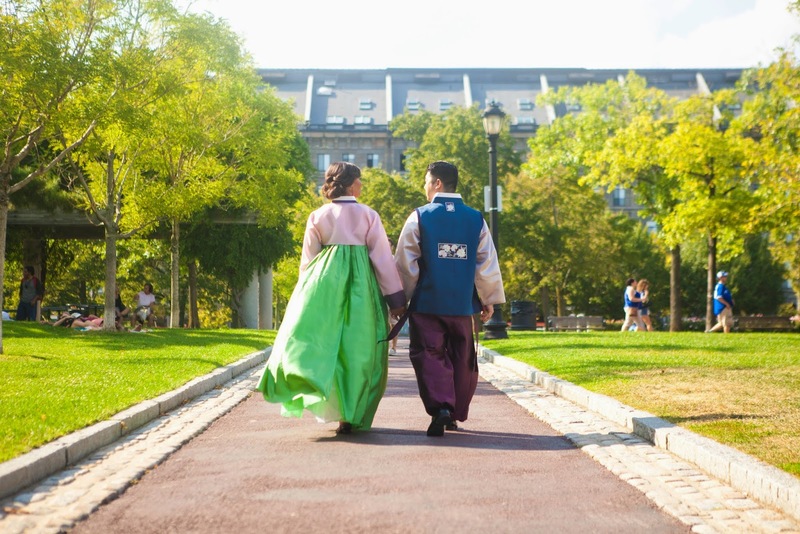 Although hanbok have become the ritual dress of choice worn only on traditional holidays, Koreans’ love for hanbok is tremendous. The popularity of Korean classic dramas is causing many foreigners to take a keener interest in traditional Korean attire as well.